Red-eyed and battered house budge, plus a mad, Giallo-style soundtrack trip, by Brassfoot for Funkineven's Apron Records. 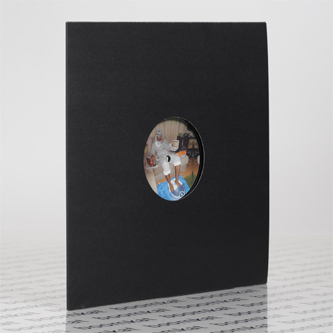 On the follow-up for that smart split with Lord Tusk, 'Apron 15' bubbles a blend of primordial proto-house, prickling EBM and dancehall minimalism with a swerve and grit matched by, say, Kowton or Greg Beato right now. 'Quad By Quad' jabs sharp rimshots and EBM clave patterns for a night-stalking shuffle groove, and 'Serpentina's Lust' keeps it ruff as chuff with mean industrial kicks knocked off by woozier pads. Replete with its own video on Youtube, 'Dogenzaka (No Love, Nuff Lube)' plies a saltier acid house sound somewhere between Mr. Oizo and Sotofett, and 'Senza Nome' skulks cinematic sidestreets.